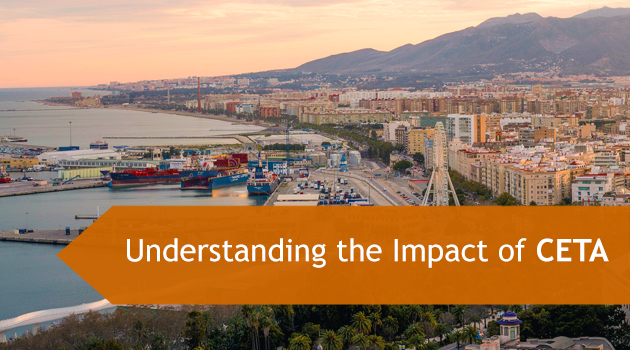 Understanding the Impact of CETA on Canadian Shipping - Inter Global Logistics Inc.
Are you concerned about the impact that CETA might have on the Canadian shipping industry? Free trade agreements can be a mixed bag, depending on your perspective. 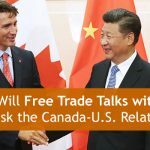 Over the last few years, free trade has been a very hot topic like when the Trans-Pacific Partnership became a political football in the 2016 American Presidential Election. The result was that TPP was killed by the current administration… And that might not be the only trade agreement to be terminated by Trump’s administration either. As the Canadian, Mexican, and American governments renegotiate NAFTA, another free trade agreement is making big waves in the Canadian shipping industry. CETA—the Canada-European Union Comprehensive Economic and Trade Agreement—has been negotiated over the last 10 years, through both a Conservative and Liberal government. CETA actually dwarfs NAFTA in many respects. CETA has gone through stops, starts, and delays, with many thinking that it would never actually be signed. Well, that’s all in the past because 98% of the agreement is set to go into effect on September 21st, 2017. Stronger Ties with the EU? Economic ties between the EU and Canada have been strong for decades and are about to become even more closely intertwined. The EU is currently our second-largest trading partner and CETA is designed to reduce, or even completely eliminate, free trade barriers between Canada and 27 countries in the European Union. Prior to CETA, 25% of EU tariffs for Canadian goods were duty-free. After CETA, 98% of these tariffs will be lifted. Industries that will be affected by CETA the most are the Canadian automotive industry, the aerospace industry, and the agricultural sector. In fact, a dispute involving the Canadian dairy industry caused a two and a half month delay in the process, as the original deadline for the agreement was July 1st. Everything now appears to be on track. There are concerns that CETA will pull Canada into the political turmoil that has engulfed the EU. At the moment, CETA includes Britain but that will change once the UK leaves the EU. Brexit talks are ongoing, and hopefully the United Kingdom and the EU will be able to come to an agreement that will cause the least amount of damage to world trade. Many people in the shipping industry are saying that CETA will unfairly open up the Canadian market in a way that primarily benefits European interests. Others say that the agreement will be highly beneficial to our country, as it will add billions of dollars to the Canadian economy. Currently, EU trade accounts for approximately $88 billion CAD a year, with this number expected to grow almost 20% in the next few years. So, what does all of this mean for you (and us)? First, Canadian shipping companies will have to move through a new certification process, which may greatly complicate the exporting of goods. Any goods or components that come from the US must be excluded from this process when anything is shipped to the EU. 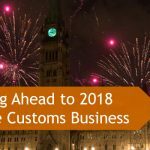 Changes like this make it imperative that all shipping companies be in close communications with their EU vendors to confirm that all shipped products meet the standards set by CETA. At Inter Global Logistics, we have representatives all over the world and that includes many in the EU. We’ve been preparing for CETA for years now and we know exactly what to expect when it goes into effect and we will strive to minimize any inconveniences or unexpected trade issues that could affect our customers. 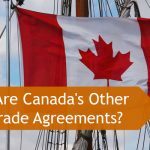 There is absolutely no doubt that CETA will hugely impact the Canadian shipping industry. Whether you are in favour or are against free trade, you should always be informed about how new agreements, or the dissolving of old ones, will cause huge disruptions. At Inter Global Logistics, it’s our job to handle these concerns for you and offer you shipping solutions that will eliminate the potential for any headaches. If you would like more information about Inter Global Logistics or how CETA might affect your business, please reach out to us using our contact form, or give us a call at 1-647-428-6537 or toll free at 1-866-777-7556. Just ask for Sheldon or Ken!